Looking for a job in Barnstable County Massachusetts? Barnstable County is a thriving, innovative, energetic, and insightful community that honors history and respects the connection between environment and economy. 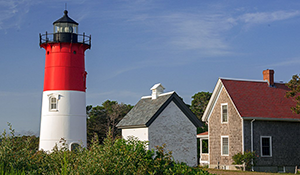 The following guide provides a listing of Barnstable County top employers to include local government employment portals, healthcare job links, and a variety of schools that provide great teaching and support staff careers. Barnstable County periodically posts job openings. During review the following positions were discovered Environmental Economist, Chemist/Analyst I, and Barnstable County Interns Mass Maritime. Check for new listings. The Town of Barnstable hires for positions such as Seasonal Fall Laborers, Seasonal Turf Maintenance Gardener, Hyannis Youth & Community Center Seasonal Jobs, Recreation Assistant, Recreation Assistant After School Program, Recreation Assistant Boys Basketball, Temporary Custodian. Check for updates frequently. The Town of Bourne was hiring on this review date. Open positions included Health Inspector, Per Diem Secretary, and Assistant Town Administrator. The Town of Brewster's employment listings had included Library Director, Public Works Skilled Laborer/CDL Class A or B Driver, and Seasonal Grounds Workers. Check for updates. The Town of Chatham periodically advertises open positions when vacancies become available. The Town of Falmouth is a great resource to monitor for employment listings. A survey revealed the following open positions: Recreation Director, Systems Analyst, IT Jobs, Natural Resources Officer, Assistant Health Agent, Recording Secretary, Utility Maintenance Worker, Clinical Social Worker, Administrative Assistant, Custodian, Fleet Services Jobs, and more. The Town of Sandwich had open positions for After School Recreation Assistant and Assistant Town Planner. Check for new listings. The Town of Yarmouth periodically hires. Some examples of jobs found included Office Assistant, Mechanic, and Heavy Equipment Operator. Cape Cod Healthcare is the leading provider of healthcare services for residents and visitors of Cape Cod. Cape Cod Healthcare employs more than 450 physicians and 5,300 staff. A survey of open positions included Administrative Assistant, Admissions Coordinator Mental Health, Advanced Clinical Practitioner Oncology Clinic, Ambulatory Case Manager, APRN, Psychiatric Nursing Jobs, Assistant Controller, Case Manager, Certified Nurse Midwife, Clinical Educator, Clinical Social Worker, Cook, Courier, Critical Care Advanced Practitioner, EMR Specialist Medical Records, Environmental Service Aide, Housekeeping Jobs, Food Service Clerk, Histologist, Hospitalist Physician Extender, Houseperson, Human Resources Manager, Activity Assistant, Dietary Aide, Director Nursing, Housekeeping Aide, Maintenance Mechanic, Occupational Therapist OT, Rehab Jobs, Adult Psychiatry Jobs, Physical Therapist PT, Physical Therapist Assistant PTA, Certified Nursing Assistant CNA, Per diem CNA, Licensed Practical Nurse LPN, Registered Nurse RN, LPN Supervisor, Medical Assistant, Medical Technologist, Medical Oncology Assistant, Mental Health Specialist, MLT MT, Laboratory, Network Engineer, Nuclear Medicine Technologist, Nurse Practitioner, Physician Assistant, Nursing Assistant, Occupational Therapist, Outpatient Occupational Therapy, OR Tech, PACS Administrator, Patient Care Technician Medical Surgical, Receptionist, Registered Diagnostic Medical Sonographer, Respiratory Therapist, Registered Nurse RN Adult Psych Unit, Registered Nurse RN Birthing Center, Registered Nurse RN Emergency, Registered Nurse RN PACU, Home Health Jobs, HHA, Security Officer, Certified Home Health Aide, Homemaker, Hospice RN Case Manager, and Speech Language Pathologist. Brookdale Senior Living periodically hires in the region. Job openings may include Home Health Nursing Jobs, RN Visiting Nurse, Nurse LPN LVN, Nurse Manager, Activity Assistant, Certified Nursing Assistant CNA, Housekeeper, Server, and more. Comfort Keepers provides in-home care for seniors. Home Health Aids HHAs and Certified Nursing Assistants CNAs are hired periodically. Benchmark Senior Living was hiring in the Barnstable area for Certified Nursing Assistant CNA, Dishwasher, and Housekeeper. The links below lead to the various schools within Barnstable County. Here you can find a variety of job opportunities (Administrative Job Postings, Certificated Job Postings, Classified Job Postings) such as school teaching jobs, special education jobs, substitute teaching jobs, cafeteria (food service workers), school bus driver, coaching positions, librarian, school nurse, custodian, and more. Please note that the jobs listed in the Public School Jobs section represent a sampling of jobs found on a particular review date. You can visit the links provided for the most current opportunities. Barnstable Public Schools has ongoing employment opportunties. A review of open positions on this review date included jobs such as Personal Care Assistant, School Psychologist Job, Coach, School Custodian, Instructional Assistant, Attorney, and School Nurse. Bourne Public Schools was hiring for the posititions of Substitute Custodian, Substitute Teacher, and Bus Monitors/ Bus Drivers. Monomoy Regional School District's employment listings had included Long Term Substitute Math Teacher, Middle School Boys Basketball Coach, After School Teachers, After School Head Teachers, Winter Coach Positions, and Extracurricular Activities Teachers. A review of Dennis-Yarmouth Regional School District's vacancy listings revealed the following opportunities: Special Education Tutors, ESP Duty Assistant, Special Education Teacher Assistant, Long Term Substitute Health & Physical Education Teacher, Boy's Intramural Basketball Coach, Girl's Intramural Basketball Coach, Athletic Coaches, Special Education Teacher, Fifth Grade Teacher, Cafeteria Worker, Permanent German Substitute Teacher, Long Term Substitute ESP II/CABA Assistant, Daycare Worker, Secretary, and Certified Occupational Therapist Assistant. Falmouth Public Schools was hiring advisors, tutors, substitutes, and custodians on this review date. Check for current listings. Mashpee Public Schools was hiring coaches, substitutes, and special education tutors. Nauset Public Schools periodically hires teachers and support staff. During review there were a number of substitute vacancies. Sandwich School District had employment opportunities such as Maintenance Technician - Licensed Electrician, ELL Teacher, Substitute Custodian, K-2 ESP (Educational Support Personnel), Substitute Teachers - All Levels - All Subjects, Substitute Maintenance & Grounds, and more. Cape Cod Academy is a dynamic and rewarding place to work and teach. Cape Cod Academy is always looking for qualified and dedicated individuals interested in substitute teaching. Openings had included K-12 School Counselor, Part Time Receptionist Position, and First Grade Teacher Substitute. The Laurel School hires pre-k toddler teachers. Candidates for the Toddler Teacher position must be enthusiastic and have a passion for teaching working with young children ages 15mo. to 2.8 yrs. EEC certification; experience preferred. Candidates for the Preschool Teacher Position must be kind, caring supportive with a passion for teaching young children ages 15 mo. - 2.8 yrs., implementing curriculum and assessing children. St. John Paul II High School is a Catholic, diocesan, college-preparatory, co-educational secondary school (grades 9 -12) located on Cape Cod in Hyannis, Massachusetts. Latham Centers is hiring full and part time and per diem motivated, compassionate individuals who are looking to make a positive impact in the lives of others. Excellent benefits package which includes 5 weeks paid time off in first year of employment, health insurance, tuition reimbursement and 403(b) with up to 5% company match! Latham serves intellectually disabled girls and boys with special needs as well as children and adults with Prader-Willi Syndrome. Bridgeview Montessori is always eager to receive resumes from interested educators. Although the school does tend to have low faculty turnover, occasional employment opportunities do present themselves. At the Montessori Academy of Cape Cod there are ample opportunities for volunteering. Whether it be by sharing your talents or area of expertise with the children or by just signing up to help at an annual event. As a part of the academy's ongoing mission to educate, internship opportunities are available for students enrolled in child development programs who are seeking credit for college/university courses. CCCC is the only comprehensive college on Cape Cod and offers 32 associate in arts degrees, 32 associate in science degrees and 56 career certificates in a wide variety of program areas. Cape Cod Community College hires faculty and staff on an ongoing basis. Woods Hole Oceanographic Institution had a high volume of opportunities listed on thsi review date. A survey of jobs found had included HR Partner Human Resources Jobs, Property Administrative Assistant, Finance & Accounting Jobs, Sea Grant Educator, Senior Accountant, Telecommunications Network Engineer, Engineer (Mechanical), Engineer (Software / Electrical), Postdoctoral Investigator, Science and Information Technology Technical Crewmember, Tenure Track Research Scientist, Engineering Assistant, Machinist, Information Systems Associate, Food Service Assistant, and Maritime Employment. Cape Cod Mall is a part of Simon and posts retail jobs on their main page. Open positions included Hairstylist, Store Managers, Sales Associate, Customer Service Representative. Make sure you are dealing with reputable companies before applying.